The Ready Player One Movie's Potential Problem | Nerd Much? If you haven’t read Ernest Cline’s Ready Player One book, or you don’t want spoilers from the upcoming Ready Player One movie, please avert your eyes to somewhere else on the Nerd Much site. But, there’s an interesting problem that arises when adapting the book to the movie that I’m going to briefly point out and discuss. So, again, if you want to avoid spoilers, get out now. The Ready Player One movie has one potential problem that might make the movie relatively hard to watch, depending on how director Steven Spielberg handles the issue. What’s the problem? It’s actually quite a simple problem that doesn’t appear to have a simple solution: how do you announce who will play Aech without ruining the last 20 minutes of the movie? For those that don’t know (which I’m assuming you do if you’re still reading this), Aech is the virtual friend of the main character, Wade Watts. But the two have never met outside of the OASIS, the virtual MMO world in which they (and pretty much the majority of society) work and live in. Aech is Wade’s best friend, but again, they have never met in the real world. Once they do actually meet, after years of friendship, Wade finds out that Aech is a big, black woman, and not the white guy that her avatar led everyone to believe. And while this isn’t unveiled until the end of the novel is in sight, it’s a significant revelation that is hard to translate to the screen, since we’d actually be looking at Aech throughout the movie. 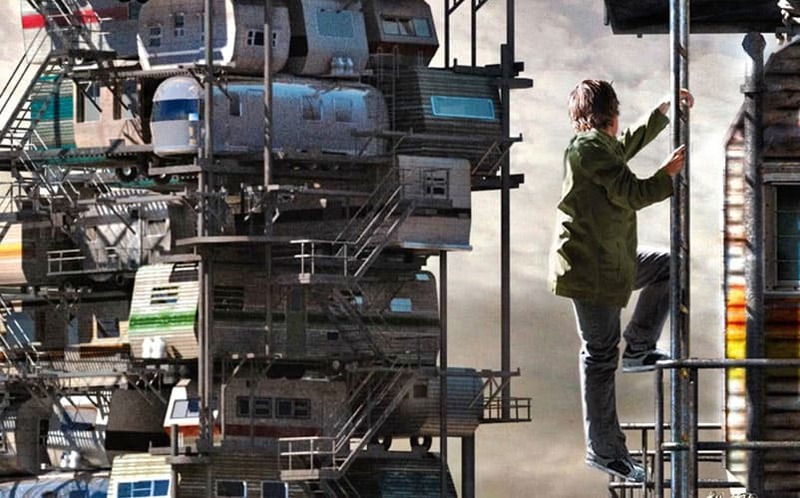 We don’t know much about the Ready Player One film just yet, so we’re not sure just how the source material is going to be translated to the screen. Will the OASIS actually be an animated world, and that’s how Spielberg is going to differentiate between the OASIS and reality in the film? Or, is the OASIS going to look as photo-realistic as the real world? If it’s the former, the problem is easy to avoid, as Aech’s avatar will be shown up until the two friends actually meet in the real world. But, if it’s the latter, is Spielberg going to cast two different actors to play the character, one white male and one black female? And, if that’s the case, how will the casting be announced to the public without the spoiler being presented to the unknowing audience (those that haven’t read the novel)? As of right now, the only casting we have for the movie is Olivia Cookie as Art3mis. Wade Watts, Aech, and the other main characters have yet to be announced (side note: wouldn’t Michael Gambon (Professor Dumbledore from Harry Potter) make a great Ogden Morrow?). Time will only tell how Spielberg will avoid this problem. Of course, we already know that the movie is faced with a ton of licensing issues, which we learned may stall its development. How Speilberg plans to adapt all of those 80s references from movies, TV and music, not to mention the many simulations which actually have the players of the OASIS act through entire movies line by line, without spending a billion dollars is beyond me. Hopefully, the movie can work out these kinks without any major delays. The Ready Player One movie release date is set for December 15, 2017. We included the book in our list of the top 50 best sci-fi books of all time, and included the movie in our mega list of upcoming new sci-fi movies.